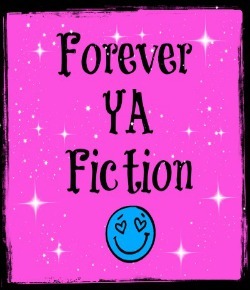 We here at Forever YA fiction love to interview authors. It’s a way as readers to get to know the minds of these amazing writers. 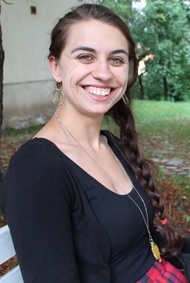 Today we are excited to bring to you our interview with Raelke Grimmer author of Sleepwalking. Please tell us what Sleepwalking is about? Sleepwalking takes place in a world where people don’t sleep, because the water supply has been contaminated with a drug which makes it no longer necessary to sleep. Kyla is 16, and her father is the person who created the drug. But then the drug stops working, and people start falling into deep sleep and not waking up. The world blames Kyla’s father, and Kyla suddenly finds herself trapped between two realities. I’ve always been fascinated by sleep, ever since I studied it in Psychology at high school, and the fact that while there are theories, no one really knows why humans need to sleep. It also seems to me that in today’s world, people are busier and busier and are trying to get by on less and less sleep. People want 24 waking hours each and every day- I started wondering what would happen if that became a reality. Are any characters or the story based on any real people or events? I actually really enjoyed developing Ty, Kyla’s boyfriend, because of where the events in the novel take him, and it even surprised me as I was writing the direction his character went. I’ve always loved reading, and when I was still very young I got the idea that maybe I could one day write books, too. I can’t remember a time when I didn’t want to be a writer. Not really. I write pretty much anywhere, fitting it in wherever I can between work and study. What word do you always have trouble spelling correctly? Receive- I know it is “I before E except after C”, but somehow when I type it, I always reverse the letters, and Word always has to autocorrect me. Which author or book inspired you to write? And which authors inspire you today? To be perfectly honest, the Little Sister and Baby-Sitters Club books by Ann M Martin! I was fascinated by the elaborate worlds she created, perfected and wrote about in those books. Those two series are what got me into reading, and then made me want to be a writer. Today, I’m inspired by so many different writers- Douglas Adams, Markus Zusak, Matthew Reilly, Melina Marchetta, Shaun Tan. I find David Malouf so inspiring- his prose is so beautiful. It flows along like poetry and the reader can’t help but be drawn into the worlds in his novels. What advice do you have for anyone who would like to be an author? Sit down at your computer, or pick up a pen or pencil, and start writing. Write anything! And if you can’t write, read- and read everything. I’m working on a new young adult eSeries for BigWorldNetwork.com, which will launch on the website in mid December. If you could have one superpower which one would it be? To know and be able to speak and write every single language in the world. We like to thank Raelke for joining us in our Author’s Corner.